Ready to experience the roaring comedy, “Pirates of Penzance,” with a fresh interpretation by the University of Miami theater department? With shows from April 19 to April 28, and a free show for all UM students on April 24, you won’t want to miss it. Did you hear that? The sea is calling your name. Described on the Ring Theatre’s website as a “fresh take on the original [that]retains the brilliance of the music [and]the splash of it’s story,” the musical comedy is a must-see this April. This comedy centers on the life of Frederick, a pirate who, after serving as an apprentice for many years, is finally promoted to be a full-time pirate for his 21st birthday. However, things begin to spiral out of control when Frederick realizes that, because he was born on a leap year, he’s not technically 21 years old and actually owes the pirates 63 more years of service. Directed by David Williams and Bruce Miller, this show features Nick McCarthy as Fredrick, Nicole Delsack as the Pirate King, Devin Cherry as Schwenck, Dayana Corton as Ruth, Shannon Booth as Maybellene and Daniel Barrett as Major General Stanley. 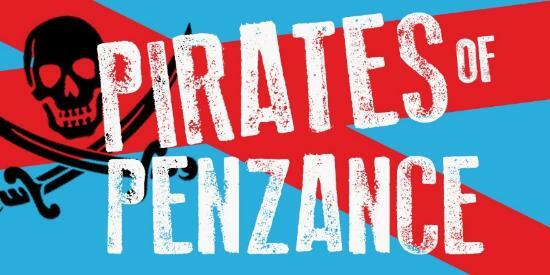 From adventure and suspense to love and laughter, “Pirates of Penzance” has it all. Sophomore theater arts major Kayla Moore described her experience as entirely new. The show was still being in development at the same time it was being produced, which is very characteristic of professional Broadway plays. “New script and score adjustments could be expected every day,” Moore said, adding that new actors and lines of dialogue were constantly being added or removed. Brian Valencia, one of the playwrights and directors, left the show after his contract was not renewed, contributing to the last-minute scramble. Senior Bobby Eddy took over, helping director David Williams finish writing the show. The students working on this show have been rehearsing since before spring break. Along with the lead actors, the show features a full cast of characters with more than 30 students involved, making it one of the largest productions in years. The storyline was slightly altered to accommodate so many characters. In addition to the original storyline, the play adopts a modern twist, featuring celebrities and public figures who are “pirates” in their respective fields, such as Mitch McConnell, Tonya Harding and the Pope. “Pirates of Penzance” will show at 8 p.m. Tuesday through Sunday, with matinee performances at 2 p.m Saturday and Sunday, at the Jerry Herman Ring Theatre. Tickets are $12 for University of Miami students, but the theater offers a free show for UM students who bring a valid cane card on April 24. Make sure to get there early, as seats fill up quickly and are distributed on a first come, first serve basis. To see the extended schedule of the performances and to buy tickets, visit the theater department’s website here.